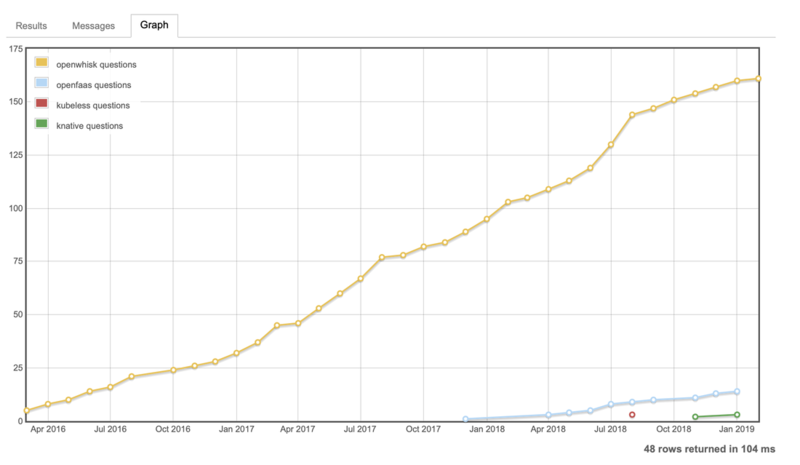 In January of 2018, there were 150 questions on StackOverflow that were tagged as "serverless". 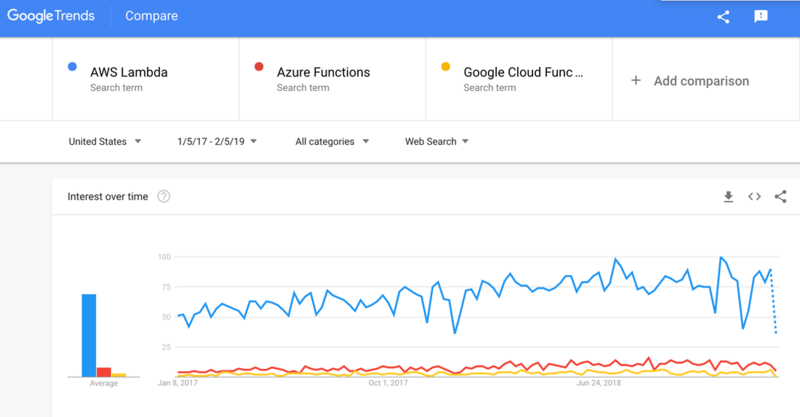 In January of 2019, there were 700 "serverless" questions asked. 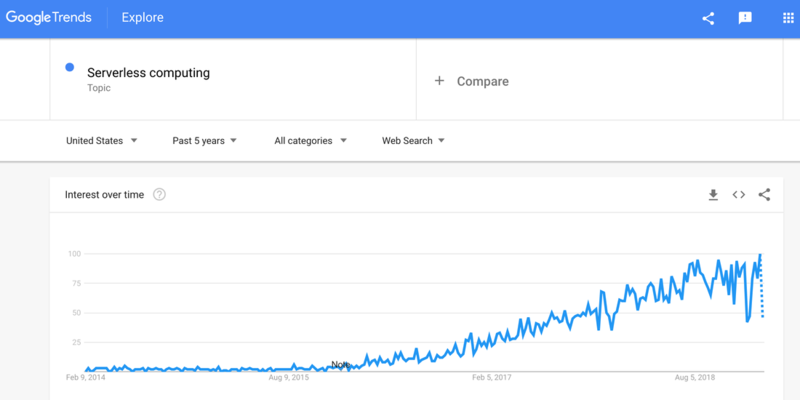 "Serverless" took off in terms of Google searches in 2017. and reached 100% in summer of 2018. 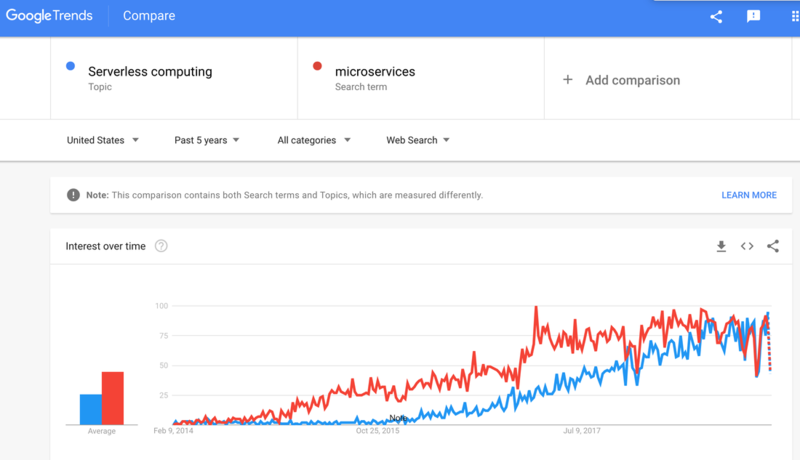 Serverless technologies and microservices have been growing in lockstep since 2016. 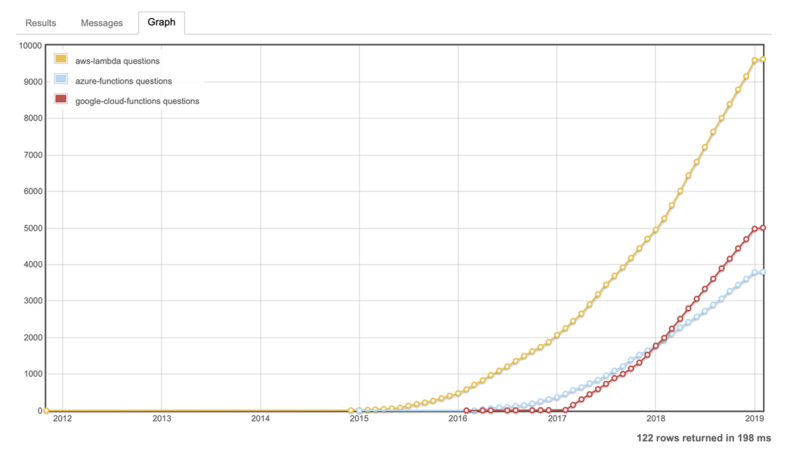 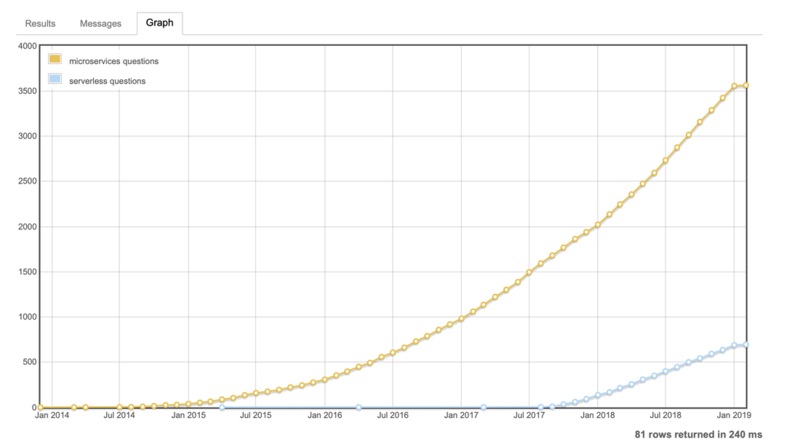 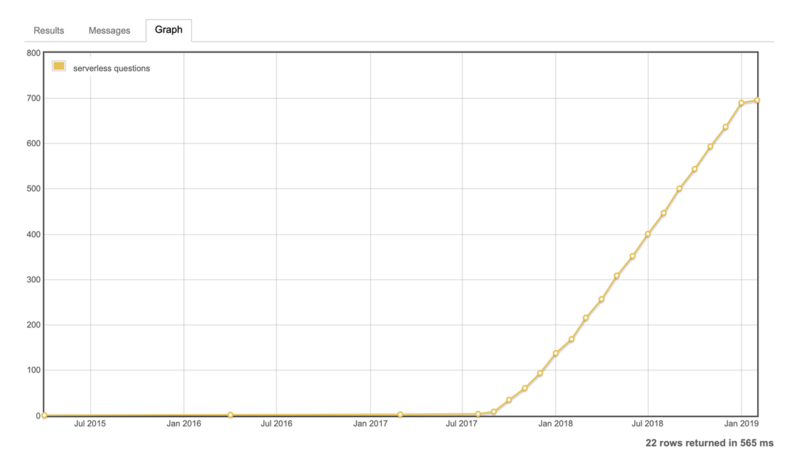 The distance is greater when looking at StackOverflow questions per month, compared to Google Trends Search interest.